Enjoy a great night out – meet international, multi-platinum recording artist Patrizio Buanne, feast on a special prix-fixe dinner at TerraSole Ristorante (3 Big Shop Lane, Ridgefield), then head over to The Ridgefield Playhouse for Patrizio’s performance – all for $110 per person (includes ticket to the show, does not include alcohol or gratuity). 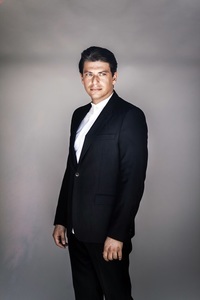 Neapolitan pop crooner Patrizio Buanne is touring in support of his new album, Italianissimo, and will return to The Ridgefield Playhouse on Friday, February 8 at 8pm, part of the Ridgefield Magazine Broadway and Cabaret Series and the World Music Series. Buanne has made a mark on the US album charts with his first four CDs of Italian standards and has been dubbed “The Ambassador of Dolce Vita!” Media partner for this event is WICC 600. “I’m not just a Neapolitan guy singing Italian songs. Yes, It’s important to give people the kind of music I am known for, but I also wanted to open myself up artistically and give them something else or rather something ‘more of me.’ I want to present my passion for interpreting any great song --- no matter if Italian, American or new,” states Buanne. For tickets ($45-$110) call or visit the box office, 203-438-5795 or go online at ridgefieldplayhouse.org. The Ridgefield Playhouse is a non-profit performing arts center located at 80 East Ridge, parallel to Main Street, Ridgefield, CT.